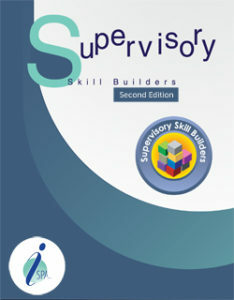 Supervisory Skill Builders provides an entertaining approach to building supervisory skills through a series of nine modules. Supervisory Skill Builders provides an entertaining approach to building supervisory skills through a series of nine modules. These modules are loaded with need-to-know information on how supervisors should carry out their responsibilities to management as well as employees. The fourth edition has a fresh look and easy-to-follow format. Supervisory Skill Builders can be used to prepare for the Certified Hospitality Supervisor (CHS®) professional certification designation; completion of the program reduces the time in position needed to qualify for the certification. Ideal as a self-trainer, the series helps supervisors: meet management objectives for productivity and quality guest service; solve everyday workplace challenges; and gain respect, trust, and support from the people who work for them. Upon ordering, individuals will receive an access code that will remain active for six months from date of purchase. 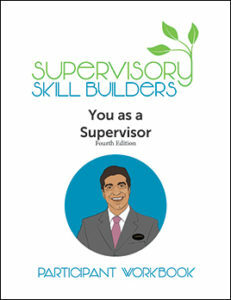 Supervisory Skill Builders workbooks provide supervisors with insight into the skills and competencies they need to manage their time. Supervisors will gain the know-how to communicate effectively, motivate their employees, resolve workplace conflicts, and to gain the respect, trust and support from the people who work for them. The workbooks contain a variety of exercises, checklists, and other activities to help learners self-assess and engage with the content. Sold as a package that includes all nine workbooks. Instructor Guides are available for group training. 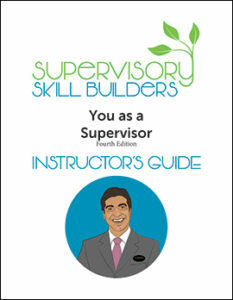 Supervisory Skill Builders workbooks are for in-person or on-the-job training; an online version of the program is available for self-study. The Instructor Guides offer a clear, easy-to-follow format and contains step-by-step tips for presenting the content, as well as additional activities and handouts. Sold as a package that includes all nine instructor guides. Supervisory Skill Builders workbooks are available to help learners engage with the content and prepare them for the Certified Hospitality Supervisor (CHS®) professional certification designation. This series of nine workbooks provides spa supervisors with insight into the skills and competencies they need to manage their time, communicate effectively, motivate their employees, resolve workplace conflicts, and manage the performance of their direct reports. Developed in collaboration with the International SPA Association (ISPA), elements include an emphasis on diversity management, exploration of personal influencing skills, discussion of electronic tools for time management, and etiquette for electronic communications. The ISPA Supervisory Skill Builders series is the prerequisite for the Certified Spa Supervisor (CSS) designation. Recognized worldwide, the CHS designation is the industry’s highest acknowledgement of professionalism for supervisors in the hospitality industry.